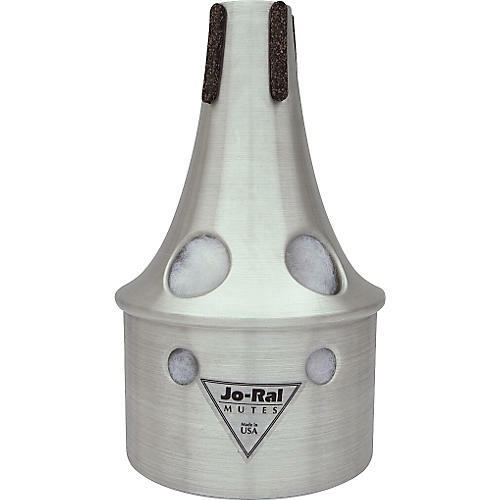 The Jo-Ral Tenor Trombone Mute is features all-aluminum construction. The acoustic design of Jo-Ral Trombone mutes creates an exciting tonal quality that results in near-perfect intonation. They are made of spun aluminum, and have been tested to perform evenly in all registers. Jo-Ral tenor trombone small mute with a bucket.The trombone bucket mute provides a unique, haunting sound that is both deep and slightly hollow. This is a specialized mute for a distinctive sound. For traditional tenor trombone.